Before beginning with the article I recommend people who are accustomed to the game to skip to the Acquiring Gold section, while those of you who are completely new and are just starting out should read through the following section One of the most controversial topics in the gaming industry is the ‘Free to Play’ debacle where any ‘free’ game is put under the radar by players and critics and they try to analyze if there is a pay wall hidden that separates the players who pay money for in game items versus players who do not. We have all played games that allow us to have fun until we hit such a pay wall. The same debate is also carried forward in Hearthstone where some people are of the opinion that you cannot perform well in ladder if you do not have cards. 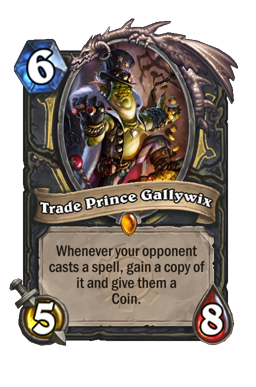 I am of the opinion that Hearthstone is not a Pay-To-Win game by any means and if you put in some amount of effort you can have a decent collection for at least a majority of the top tier decks in the game. And by some effort I mean just quests and some casual grinding for a few weeks. While you do not forced to buy anything and ads do not hit you in the face for purchasing packs, you have the option to do so if you want to directly get into the action without any sort of grinding. Most importantly, unlike various other free games you are not limited in anyway in terms of ladder performance based on your collection if you have pick up the basics and have an understanding of the game. 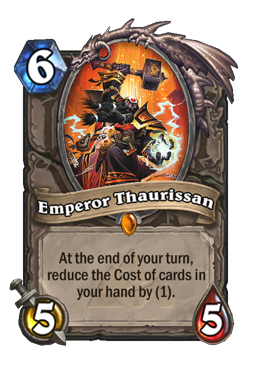 In fact, most of the top tier decks do not even run legendaries in cases and they are quite efficient at beating super greedy decks that can be up to 5 times as expensive in terms of crafting cost. Now before we head into the topic of maximizing your gold acquisition and getting the most out of your effort we should take a look at how the economy of Hearthstone works from the average player’s perspective. Now what is one card pack worth in terms of money? A pack will set you back by 1.17 USD if you go for the most efficient purchase option of a 60 pack bundle that costs 69.99 USD to make sure we are going with the most economically efficient investment in the game. This value can be achieved by dividing the cost of 60 packs which is 69.99 and dividing it by 60. In other words, 100 Gold amounts to 1.17 USD in the Hearthstone economy. So now that you know what the value of gold is let’s try to equate the same for dust. Dust is what you will need to spend if you want to craft cards. Commons cost 40 dust, Rares cost 100, Epics cost 400 and Legendaries cost 1600 for normal versions. From a simulation of 50,000 for pack openings the following percentages of drop rates for specific rarities can be achieved. 70.56% - Common 21.28% - Rare 4.26% - Epic 1.06% - Legendary 1.44% - Golden Common 1.12% - Golden Rare 0.224% - Golden Epic 0.056% - Golden Legendary This sums it up to 99.64 dust per pack on an average. Sure, you will get lots of 40 dust packs but if you look at it from a larger point of view where you open about 40- 50 packs across a month, the average will be around 100 dust. Of course some people will be luckier than others but this is what the average should be like. A basic pack has 4 commons and one rare at the very least. According to the same simulation you will need to open approximately 472 card packs to get ALL of the Classic cards and 295 packs to get all the cards from an expansion. Some expansions may have more cards than the average and sometimes less but this was based on the norms Goblins versus Gnomes, Whispers of the Old Gods and The Grand Tournament have set. Now before you get frightened by these glaring numbers, do note that you do not need all cards in the game to play competitively and a big chunk of the cards in the game are not even used. On the other hand, if you do open the said number of packs you are not assured to get all of the cards in a particular set, but you will be able to get enough excess dust to craft the remaining cards for sure. So how do you make the most out of your Hearthstone playing experience and how do you maximize your gains? The first thing you need to keep in mind is that until you have a fairly high comfort level with the game and achieve the point where you are habituated to the cards you see in Play Mode and can predict the kind of plays your opponent is going to make, you should not randomly craft cards. Do some digging, you can check out various deck building websites where you can find out how popular and relevant a card actually is. 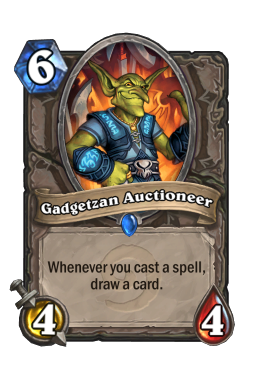 For example a card like Azure Drake is quite popular and sees a lot of play in most meta decks but Gadgetzan Auctioneer , which is also a rare sees play mostly in Rogue. So you can see some cards are a more valuable than others and this is exactly why I asked you to be a bit comfortable with the game itself before crafting cards. You might see a top tier deck and want to make it, but you might not be comfortable with the class itself and end up regretting it. Dust Management 101 This is exactly where we all mess up. We tend to dust cards that seem bad to us or badly rated by the community. You should never dust cards to make other cards. You can safely dust the BAD golden cards if aesthetics do not mean much to you or if you have 2 copies of the normal version of those specific golden cards. 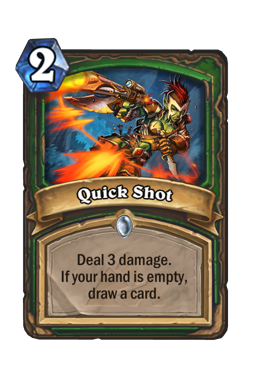 There are nerfs and buffs that happen and when cards are nerfed you can dust them for full value. 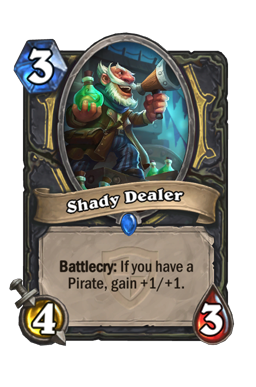 Also, there are various seemingly bad cards that are not used but all of a sudden with content expansions coming in they become viable. Patience is the best virtue you can have when you play Hearthstone. 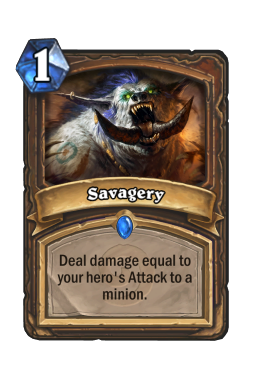 Of course there are extraordinarily bad cards like Savagery or Bestial Wrath which you can dust safely but do so only when you desperately need dust and desperately need to finish off a deck. But then at 100 dust per day, assuming you open 1 pack a day you should not have trouble getting to your target cards. Also, if you have your mind set on specific decks do not craft cards one by one as you keep getting the dust. The last thing you want to see is opening the cards you crafted a couple of days back. So hold on to the dust and make the deck all at once instead of taking it step by step. Standard vs Wild It is more economical to play Standard than Wild because you will only need to have the cards for expansions and adventures released in the last two years only as well as the Classic set. When starting out and you begin to understand what the meta game looks like you will realize what the most popular decks are and what cards they need. You do not need to own the entirety of all adventures to play competitively and some wings of adventures are better than others. Blackrock Mountain’s Wing One is arguably the best right now because it has Grim Patron , Quick Shot and Emperor Thaurissan . The decks that can be built around those cards (OTK Worgen Warrior, Grim Patron, Mid Range/Face/Hybrid Hunter) are quite cheap as well and they're great decks in their own right. Of course as time passes and the meta changes the game will keep evolving as well and it’s essential you keep an eye out for high value wings if you are starting out late and have missed out on adventures. While it might not be feasible to get older adventures if they are going to phase out soon, you should most definitely get all of the wings that release after you begin your Hearthstone journey. If you are wondering when phase outs happen, they take place each year during the first content update. So if a new expansion comes out in April 2017, all the expansions and adventures released in 2015 will be moved to Wild. 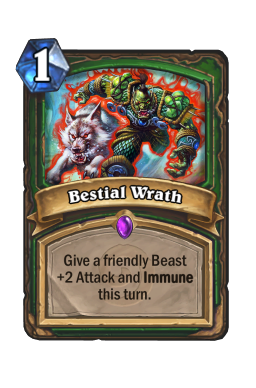 Adventure cards can be dusted and if you have no intentions of playing Wild then you can dust cards that phase out for new cards. But of course, if you have some fun decks that you want to play on Wild, do keep them because fun is all that matters when playing Hearthstone! Season rewards Season Rewards gives you cards, dust and a cardback based on your rank. The higher you go the better the reward. If you hit rank 20 you get 1 golden common and the seasonal card back. Rank 15 gets you 1 golden common and 1 golden rare. Rank 5 gets you 2 golden commons and 1 golden epic while the Legend chest gets you 3 golden commons and 1 golden epic. All chests others than the Legend chest also comes with some dust that starts at 5 dust and increases at 5 dust per rank and resets back to 5 each time the chest upgrades at rank 15, 10 and 5. Rank 5 is the best chest in terms of the effort to reward ratio and with a fair bit of experience you can reach there quite easily and it's not as difficult as people make out to be. Here are the ways you can get gold currently in Hearthstone. You cannot buy Dust or Gold in the game and the only way to earn gold is by playing. One thing I’d like to say here is that you should not hit the buy button at the store every time you have 100 gold. Make it a point to save 30 gold every day and let it accumulate over time. These small amounts of gold you put into ‘reserve’ each day can go a long way and help you deal with acquisition of adventures and expansions quite easily. I understand the kind of craving we have when we have excess gold but controlling the urge to buy packs can help a lot. Even if you save 30 gold a day and spend the rest on packs you can get 900 gold per month and in 4 months time you will easily have enough for new adventures and expansions that are announced. It never feels right to miss out on pack openings when new expansions come up or be late in opening wings while others are having fun with their new cards. The maximum amount of gold you can get through Play Mode wins and your own quests is 200 if you get the 100 gold quest but the average is around 150 gold. Not everyone puts in enough time to win 30 games a day but no matter how much gold you get, you should make it a point to save some up for future content updates. Play Mode Every game you play counts towards your gold counter. Once you win 3 games you get 10 gold. The maximum amount of gold you can get through Play Mode wins is 100. This counter resets each day and each server has its own reset time. The counter is reset every 24 hrs and a new quest is provided to you. I do not expect everyone to have the time to farm 100 gold every day from the Play Mode wins alone because it takes up a lot of time (even though I have been doing it almost every day for the past 2 years). If you do want to farm some gold, I recommend playing slightly faster decks that do not draw out the game for too long when you are in the mood to farm some gold. It will help you have faster games and acquire gold quicker. Quests You get 1 Quest per day which require you to do specific things in game and get gold, with the exception of ‘Watch and Learn’ where you can just spectate a friend for a pack when he wins . You might be asked to play and win with specific classes, play certain types of minions and other simple quests. Quests can be worth anything between 40 to 100 gold and each time you see 40 Gold quest I recommend you re-roll it to get a new one that is worth more. If you don’t get a high value quest of at least 50 or more you can choose to not do the quest and re-roll it again the next day when a fresh quest is out. You can stack up to 3 quests at a time and re-rolling for higher value quests can be very beneficial for you in the long run. However, do make an exception for it if skipping a quest means not being able to play your favorite class or decks. Do not let gold acquisition get in the way of you having fun even if it means losing out 10-20 gold in the average positive scenario. All of the quests need to be completed in the Arena, Tavern Brawl or Play mode, with one exception being the Total Dominance quest. The quest requires you to win 7 games and upon completion you get 100 gold. You can complete it vs AI or simply ask one of your friends to concede 7 times versus you for 100 gold in a few minutes! The strategy of maximum greed: You can choose to not do any quest that offers you 40 gold even if it means not going your quest for 3 consecutive days. You are more than likely to get 50 or 60 gold quests through re-rolls. Never re-roll 60 gold quests because they are more than likely to turn into 40 gold quests. 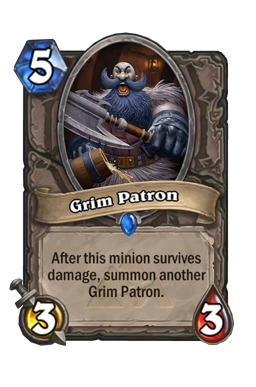 If class concern is a problem you can check out Tavern Brawls as well, because not everyone has all the important cards for specific classes. You can finish quests quite easily for classes you do not have the right amount of cards for if the current Tavern Brawl offers you premade decks. 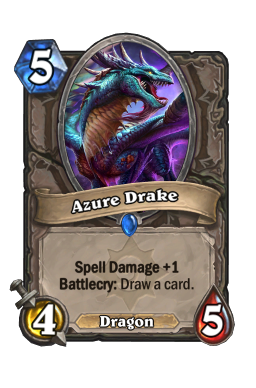 It will help you out on at least 4 out of 7 days when a Brawl is live so classes you do not have proper cards for should not be too big of a concern. One thing you might want to know is that matchmaking is not affected by the familiarity you have to a specific class. If you are at a reasonably high rank with Mage and you get a 50 gold Rogue quest and you make a makeshift Rogue deck, do not expect to get opponents who are inexperienced. It might be a bit difficult if you do not have an option and if you are severely limited in these situations you can chose to roll high value quests in favor of something that’s a lot more doable. Play a friend Quest: It is one of the more recent additions to Hearthstone where you can just play a friend and both you and your friend get 80 gold. One thing you can do to speed up your gold acquisition is by bringing together friends to the game or simply making friends in the game when you have good games. Sometimes games are really interesting and fun and you can add such opponents after your game to have a sizeable friend list. I regularly play tournaments and have to add people all the time. Sometimes I have great games versus some opponents and keep them on my list. It often leads to people doing their 80 gold quests with me. You can simply head to find-a-friend threads on the hearthstone subreddit and find people who are willing to help you out learn the game and play with you. This will increase the probability of someone offering you the 80 gold quest and you should definitely make it a point to play with people who give you the quest when you get it yourself. The subreddit also has a Discord server where people with the quest are often looking for other people with the same quest. It becomes an easy way to get 160 gold this way and it’s a win-win situation for everyone. This does take a bit of commitment involving you to head to forums and asking people to help you out and if you are willing to do it, it’s going to help you out a lot. It will also help you meet new people in game and play with them at times. Here are some hidden quests that you can complete for getting access to various rewards. Arena is one of the best ways to ‘farm’ gold. The Arena mode is unique and it allows you to play with every card in the game. You choose a class among 3 random options laid out to you. And after that you get to choose from 3 cards of the same rarity each pick. Once you pick 30 cards from 90 cards shown to you from different rarities you use your deck against players and try to get as many wins as possible for rewards. You can get to a maximum of 12 wins at the moment and you can afford to lose 3 times. Once you reach 12 wins or lose 3 games, the run ends and you get your rewards. The arena rewards have improved a lot since Whispers of the Old Gods and you will be able to break even your runs in terms of returns on investment quite easily. It’s not a mode everyone loves because they prefer playing constructed decks and there will always be runs where you just have forgettable experiences but it’s easily the best way to build your collection nonetheless. Rewards get better with each win and you are assured a pack from the latest expansion no matter how bad you do. You generally get a pack and some dust even if you don’t win a single game. If you get to 7 wins on an average you get back the 150 gold almost always and you get a pack along with possible dust or a pack. All packs that are rewarded are of the latest expansion and if you get a second pack it will be either Classic or from a different Standard expansion. If you break down a 7 win run which is what I always aim for whenever doing a run, you will realize that you get back 250+ gold worth of value. Now let’s assume you win 7 games and lose 3. You’re getting at least 250 gold worth of value of which you invested 150 gold. That makes it a profit of at least 100 gold by playing 10 games and winning 7. If you play 10 games on ladder and win 7 games you get 23.33 gold effectively making arena a lot more appealing if you are better than average at the very least. The best part is you can go on infinite runs, and there is no limit to how much gold you can earn on any given day. It’s a high risk very high reward play mode and the best part if you can get to play with cards you do not have in your collection. Whenever new adventures and expansions come out, the odds of the new cards dropping increase a lot and you’ll be able to try out new cards even before you open them in packs or craft them. You can get a lot of resources to get the most out of your runs through reliable tier lists and picking up tips from players like ADWCTA and Merps (GrinningGoat), Kripparian, Hafu and other notable arena players. 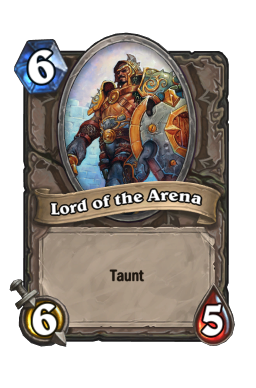 Arena is all about the basic concepts of Hearthstone like trading, value, tempo and identifying win conditions. It’s a fun mode that I appreciate a lot and as a F2P player, you will surely enjoy it too when you get the hang of it. I started out as a pretty terrible arena player but after a couple of months of playing it extensively I get 7 wins on an average with classes that I am comfortable with quite easily and I need to improve a lot with the weaker classes. You can check out the average rewards below. Tavern Brawls are weekly ‘events’ where you can play games with special rules and they count towards your play mode wins. Every week you get to grab a Classic pack for your first win and you should always get at least one win in the brawls for the free packs. There is also a referral system where you can get packs for each friend that gets to level 20 (accumulated) using you referral code. You can get a maximum of 5 packs from an account for 5 friend. The first friend who joins Hearthstone using your referral and gets to level 20 will allow you to get the Morgl Shaman hero skin for your account and subsequent signups will get you 5 packs with 5 being the maximum number of packs you can get. Want to jump off the F2P bandwagon? Here are some tips for saving money! If you do decide to jump from the F2P bandwagon and decide to splurge a bit there are various ways you can save a significant amount of money. One of the most convenient methods is checking the regional Google Play Store/Apple App Store Pricing. Where I am from, there is a significant amount of difference in the price of packs in the Play Store compared to the prices in USD. Moreover, I also need to pay International POS charges if I buy anything from the in game store. If you do not have access to a credit card that works on your phone’s app store you can just head to stores where you can buy Google Play or Apple gift cards for use in the respective app stores. These cards do not have any additional costs involved so if you are paying 100$ for a gift card you will be getting 100$ worth of value. The same applies to any currency at all. The only time you might be paying anything extra is if you get these cards online it might involve shipping costs. Amazon Coins is also an option and if you have an Android device then you are in luck because there are many Hearthstone and Amazon partnered sales where you get discounts on packs on top of the savings you get buy buying Amazon coins in bulk for your in app purchases. You can find out all about it in the link below. https://hearthstoneplayers.com/today-only-special-bonus-on-amazon-coins-on-top-of-existing-promo/ Some of the other basic ways to save money is by pre-ordering expansions where you can save a lot of money because the pre-orders offer a lot of bonus packs and you can get 50 packs for 50$ compared to 40 packs for 50$ in the store. Buying wings of adventures together also helps you save money over getting them individually. I’d like to thank Noxious for computing the data for the value of gold and card packs and other data used in the article which was quite helpful. Also the community analysis of arena rewards also helped me summarize the rewards for Arena. Hope you guys enjoyed the guide, if you have any suggestions or thoughts on the guide; be sure to leave a comment below. Thank you!